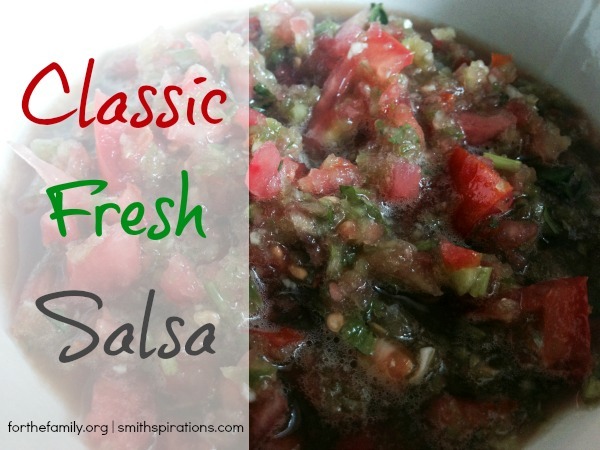 Fresh salsa is such a delicious and versatile food to have in the kitchen. It’s wonderful on its own with chips and is also tasty served over grilled meat, chicken, or fish. Every put salsa on a burger? It adds such a unique twist! Salsa is a fun way to get some more veggies into your diet, too. Canned salsa will do from time to time, but nothing can beat salsa made from fresh ingredients. You can find fresh salsa in the refrigerator section of your grocery store, but it is often much more expensive and probably contains extra preservatives that I like to avoid. Thankfully, fresh salsa couldn’t be easier to make! With some basic ingredients and a good knife or food processor, you can have a batch of delicious, fresh, and frugal salsa made from whole nutritious foods in no time. Note: In both methods, adjust the level of heat in your salsa by using more of less of the jalepeño. You can also remove the seeds and white ribs from the inside of the pepper to reduce the heat. Wear rubber gloves while handling hot peppers and avoid touching your eyes and nose until the gloves are removed and your hands washed. Finely mince the garlic and jalepeño (as much as you prefer) and set in a non-reactive medium bowl. 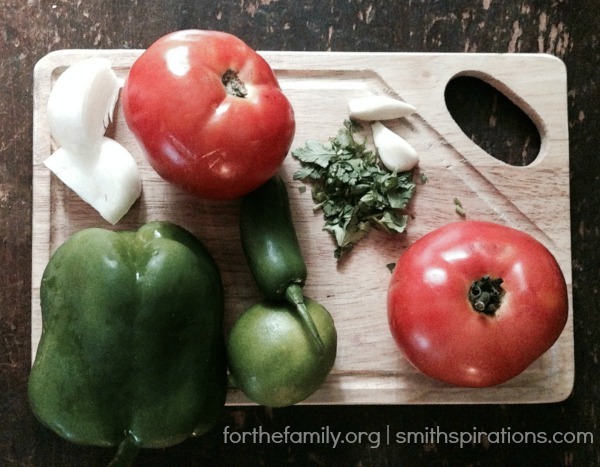 Chop the onion, bell pepper, and tomato according to your family’s preference. Some like salsa really chunky, and some prefer it all finely minced. Add to the bowl of garlic and jalepeño and mix to combine. Drizzle with lime juice, sprinkle with salt, and add cilantro. Stir again. Place the garlic cloves and jalepeño portion in the food processor bowl and process until finely minced. Section the onion, bell pepper, and tomato into chunks about 3″ each and place in the bowl. Pulse until uniformly chopped. You may also choose to reserve a section of tomato to chop by hand and add after pulsing in the processor, giving more of the hand-chopped feel while still using the cheater food processor method. Pour into a non-reactive bowl, drizzle with lime juice, sprinkle with salt, add cilantro, and stir well. Regardless of the method, this salsa tastes best the day after it’s been made which allows the flavors to combine. I tend to use the cheater food processor method for the sake of time and reserve about half of a tomato to quickly chop by hand. My husband likes chunkier pieces of tomato in our salsa. I make ours with the whole jalepeño because we like the heat! Do you make fresh salsa? How hot does your family like it? 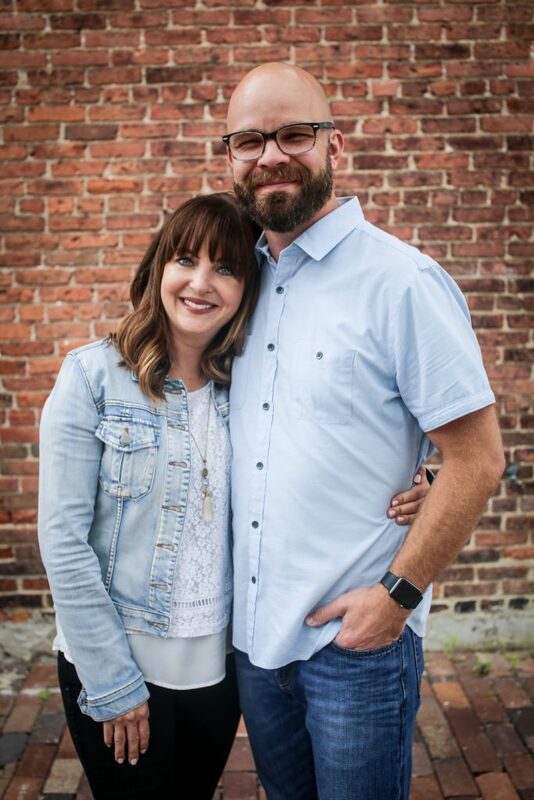 Kristen Smith is a Christian, wife to her best friend and high school sweetheart, and mother to a growing brood of sweet little people. She and her family enjoy rural life in northeast Ohio. Her days are spent keeping the home, homeschooling, making real food, gardening, blogging, studying herbalism, working from home as a Lilla Rose consultant, and doing what she can to live a more natural and God-honoring life. 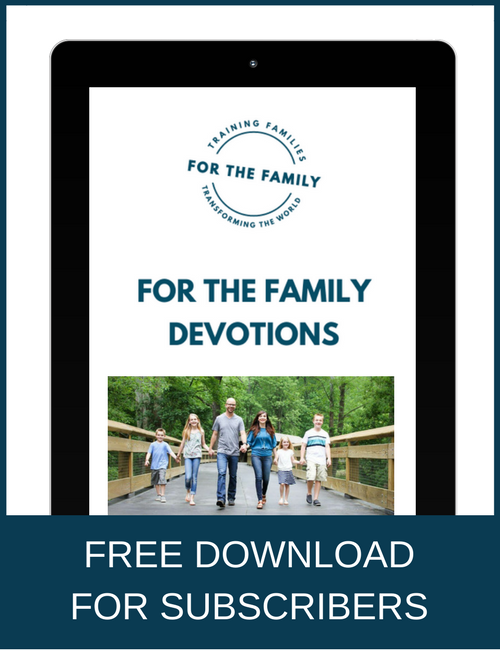 Connect with her on her blog, Smithspirations, where she writes on topics relating to faith, family, and natural living. You can also find her on Facebook, Twitter, and Pinterest. I’m not sure I know what fresh salsa tastes like the day after. Mine is gone in one night! I use three pounds of tomatoes. I sometimes add mild peppers like Anaheim to the mix and additional flavor without adding heat. And lots of freshly ground pepper! I love cilantro in there!